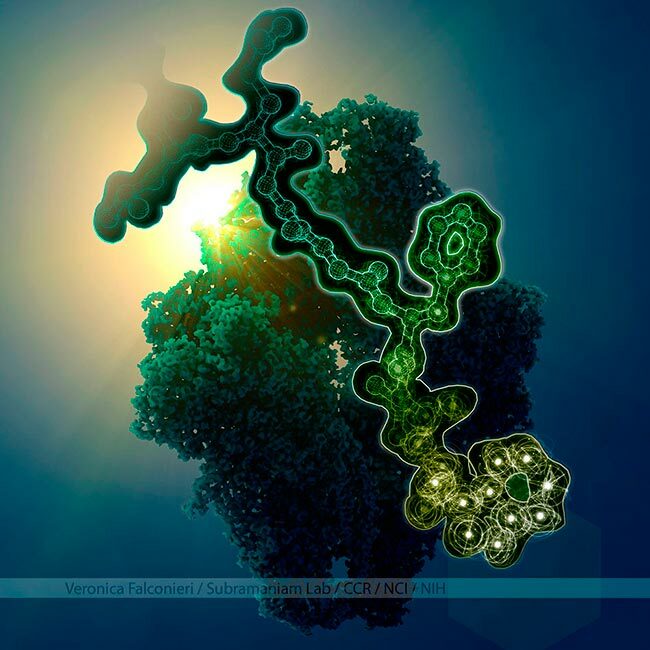 Veronica Falconieri DescriptionIllustration of high resolution 3D molecular data determined by cryo-electron microscopy (cryo-EM), a structural biology method. Background: Density map for entire molecule. Foreground: Segment of density map with corresponding amino acids shown as ball and stick model and stylized Bohr-model inspired atoms.